It is an article of faith at YCET to complement the academic component of the institution with a wide range of extracurricular activities. There are various technical as well as non-technical associations functioning in the campus. Such experiences enrich the lives of students and help them fulfil their potential. The Premier National Society for Teachers and Students of the Technical Education System. ISTE is a strategic partner of AICTE. The major objective of the ISTE is to assist and contribute in the production and development of top quality professional engineers and technicians needed by the industries and other organisations. We have an energetic team behind ISTE -YCET chapter. The Institute of Electrical and Electronics Engineers, a non-profit organization, is the world’s leading professional association for the advancement of technology. Through its global membership, the IEEE is a leading authority on areas ranging from aerospace systems, computers and telecommunications to biomedical engineering, electric power and consumer electronics among others. Members rely on the IEEE as a source of technical and professional information, resources and services. IEEE also serves student members in colleges and universities around the world. 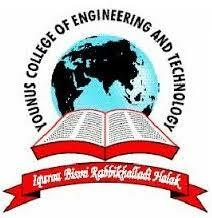 YCET-IEEE chapter enabling student community to improve their knowledge domain. This Club maintains the interaction between the academia engineers and working engineers. Activity includes interaction through industrial visits on local, state and national level and students can take case study projects in working environment. Consultancy and tie up with some majour PSU’s and private companies are on the anvil. Alumni Association was formed in 2006, with a view to keep in touch with the old students and their Alma-Mater. Our objective is to tap the experience of the passed out students to enrich the budding engineers here in college. 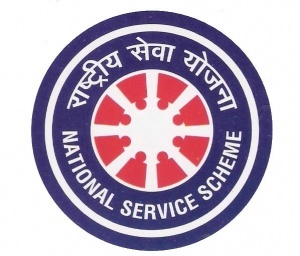 The NATIONAL SERVICE SCHEME , popularly known as N.S.S. is a noble experiment in the academic framework. It inculcates the spirit of voluntary work among the students and teachers through sustained local level community interaction. It brings educational institutions closer to the society. It shows how to combine knowledge and action to achieve results which are desirable for community development. Over the short span of time YCET NSS unit has emerged as the kerala’s best technical cell. The department of Youth Affairs and Sports of the Government of India and Ministry of Human Resource Development (New Delhi) considers NSS as a priority programme and they continuously review its progress in order to strengthen it further. NSS Technical Cell state annual meet and distribution of state level awards has conducted here in this institution in a big way. NSS Programme Officer: Mr. Kiran Kumar, Lecturer in Applied Science.